(1) MICHELIN CrossClimate+ has the same level in dry braking than MICHELIN CrossClimate (Test conducted by TÜV SÜD Product Service, at Michelin's request, in September 2016, on dimension 205/55 R16 on VW Golf 7). MICHELIN CrossClimate has a similar level in dry braking than the Summer reference tyre (Comparative test done by AutoBild on dimension 205/55 R16, published the 30th of September 2016). 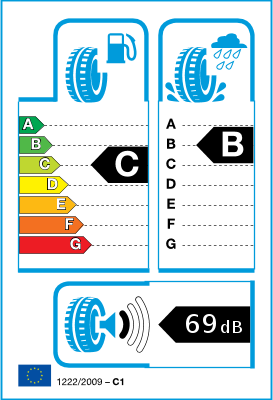 (2) Wet braking label 'B' on the European labelling. (3) 3PMSF = Three Peak Mountain Snow Flake. Certification of performance on snow (braking & traction). MICHELIN CrossClimate is not a winter tyre according to Swedish legislation. (4) Test conducted by DEKRA Test Center, at Michelin's request, between July and August 2016, on dimension 205/55R16 on VW Golf 7. (5) MICHELIN Energy Saver+ is best-in-class in its summer category as it obtained the best score of 0.5 assigned by ADAC in longevity in its 2015 comparison of Summer tyres on size 205/55R16. 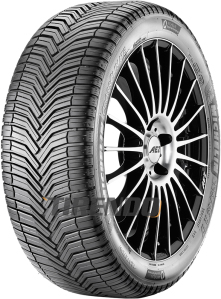 I bought the tyres from online, and I was hoping that I will get good miles out of them. But unfortunately they only lasted for six weeks and after that I was very disappointed with this purchase. I went to my local garage and I was told that the life of the tyres I have bought from online might have poor quality shelflife. So next time I won’t purchase any tyres from online.